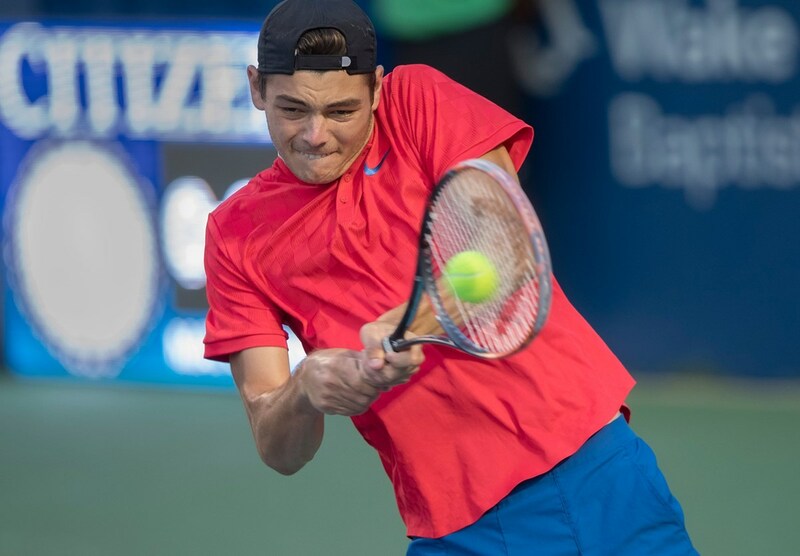 WINSTON-SALEM, N.C. (August 17, 2018) – 20-year-old Taylor Fritz likes Winston-Salem and will be looking to make another deep run in this finale of the US Open Series. The world number 70 played the event in 2017 and made it to the quarterfinals where he lost to eventual champion Roberto Bautista Agut (6-2, 7-6). Fritz began playing tennis at two years old since both parents were tennis professionals. He was named the ATP Star of Tomorrow in 2016 for being the youngest player to finish inside the top 100. The American youngster is currently ranked seventh in the ATP Next Gen year-end finals, the “Race to Milan.” Next Gen stars are players ranked inside the top 200 who are younger than 21. Another 20-year-old and familiar face in Winston-Salem is NCAA Men’s Singles Finalist Borna Gojo. The Croatian helped lead his team to its first NCAA Men’s Tennis Championship in 2018. He and teammate, Petros Chrysochos, faced off in the individual finals with an injured Gojo losing to his fellow Demon Deacon 6-3, 6-3. Gojo played in the 2017 qualifying rounds of the Winston-Salem Open and upset world number 95 Ruben Bemelans in the first round in a thrilling three setter (7-6, 3-6, 7-6). He fell in his second round in another three-set match to Aussie Alex Bolt (0-6, 6-3, 1-6). Top-ranked ATP singles players in the tournament’s field include, David Goffin (11), Pablo Carreno Busta (13), Kyle Edmund (16), Marco Cecchinato (21), Hyeon Chung (23), and Damir Dzumhur (24). Sam Querrey (32), Steve Johnson (33) and Ryan Harrison (57) will also return to the tournament.